Being a person is hard. Getting out of bed is hard. Sometimes when we are struggling with our mental health the thought of getting out of bed seems like the most monumental of tasks, magian to achieve it seems like a minor miracle. So go easy on yourself. 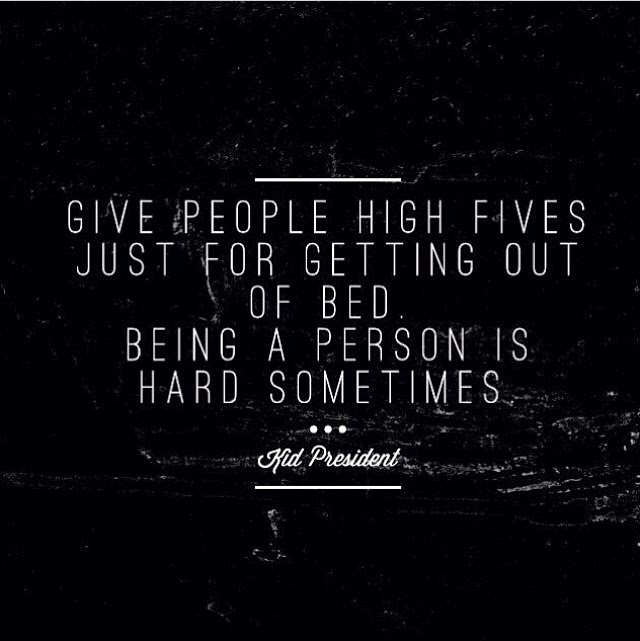 And we should definitely be giving each other high fives for managing to get up in the morning.